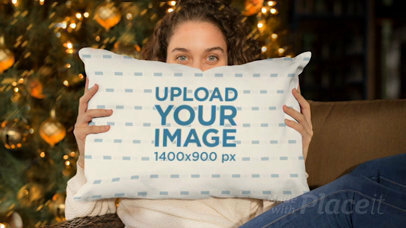 Create amazing visuals using Placeit's mockups. 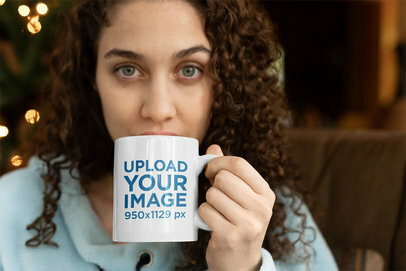 Like this coffee mug mockup featuring a gorgeous young lady enjoying a warm coffee in cool weather. 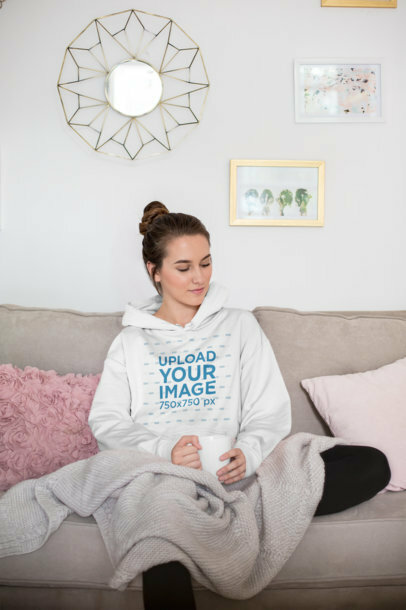 Make your revenue grow using beautiful image your audience will surely love. 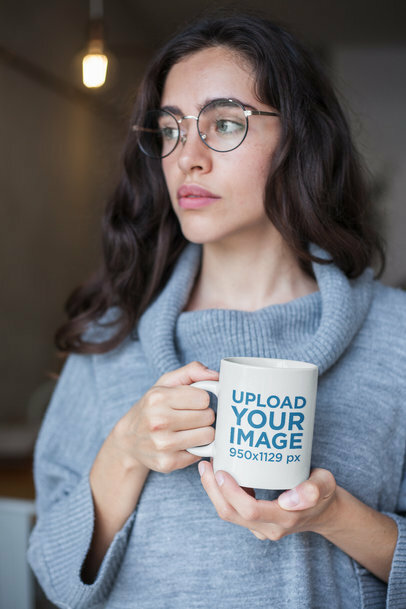 Showcase now your coolest coffee mug designs using this or any of the cool mockups Placeit's got for you. 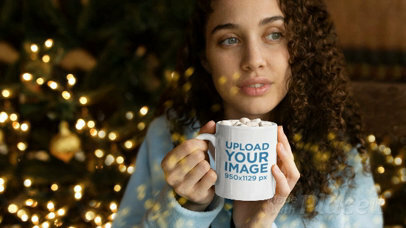 Got some mug designs you'd like to see showcased by a gorgeous girl in a Christmas environment? Look no further. 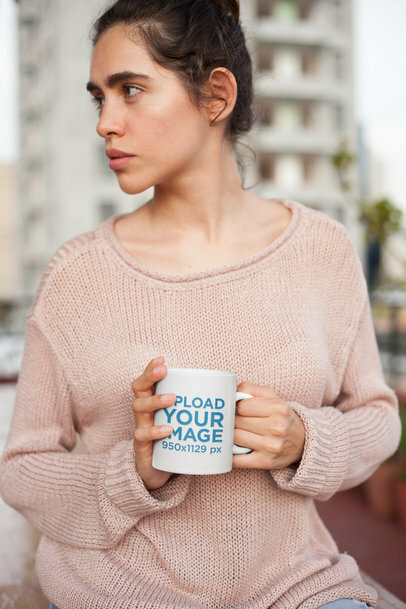 Placeit's just the place for you! 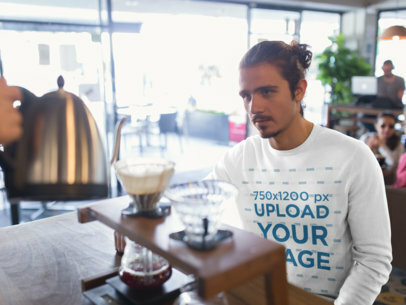 We've got professional mockups that are exactly what you've been looking for. 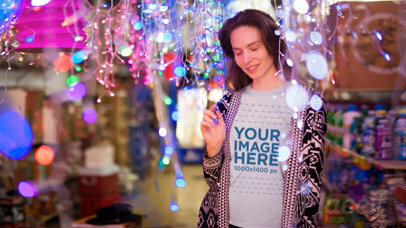 They're trendy, cool, and attractive to your audience, simply the best visuals for your marketing campaign! 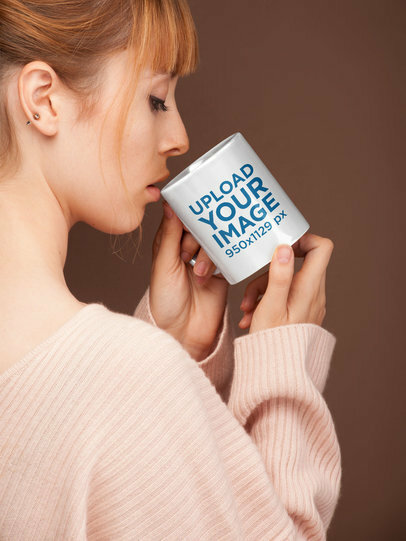 So start now promoting your personalized mug designs this Christmas using our mockups and we can bet you won't be disappointed. 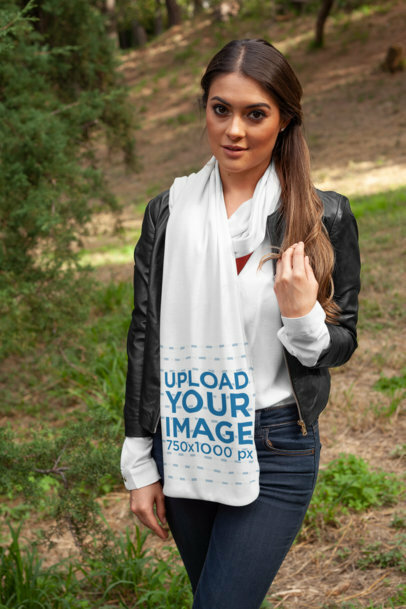 If you're looking to promote your apparel brand in an elegant way, this scarf mockup from Placeit is just what you need. This picture features a woman in a modest outfit, posing beside a standing train locomotive; all of it transmitting a nostalgic aura. What are you waiting for? 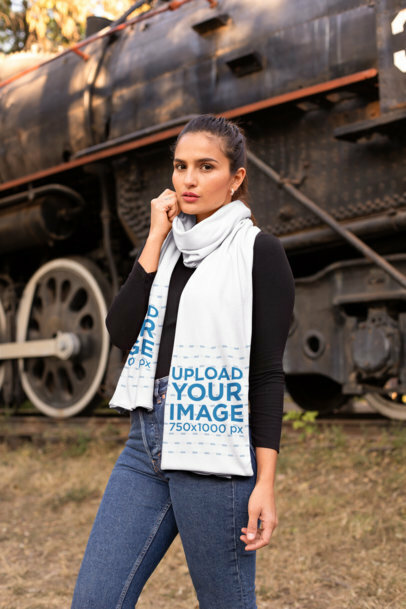 Start creating amazing promotional pictures with Placeit. 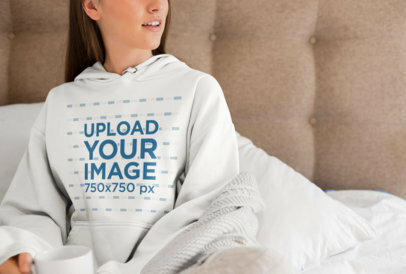 Create unique visuals for your clothing line with Placeit's smart mockups. Try this one featuring a trendy woman and improve your POD brand right away. 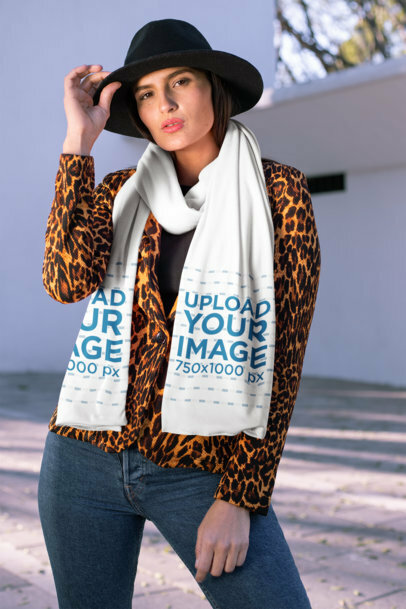 Customize in a few minutes your favorite scarf mockup and promote your designs today. 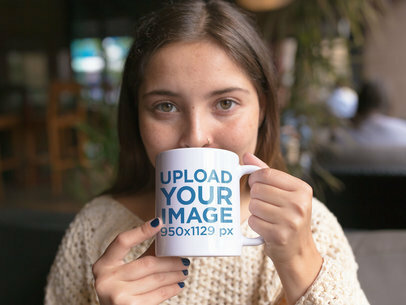 Promote your amazing personalized mug designs with Placeit's print mockups. 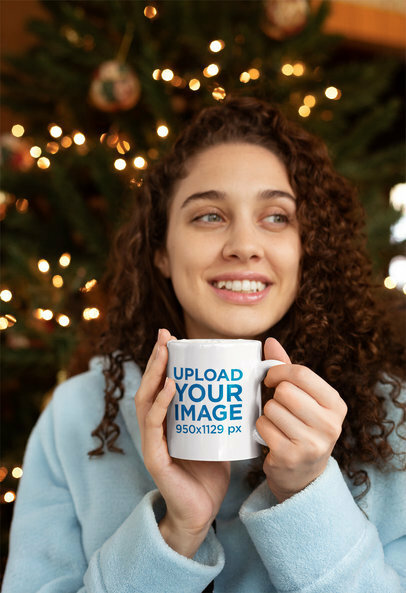 This mockup is super festive and features a curly-haired woman drinking her hot chocolate on Christmas. Cute, right? 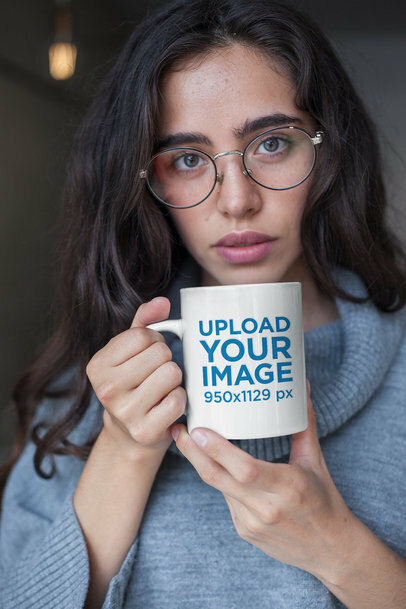 You can even change the mug's color. Try it out, it's easy. 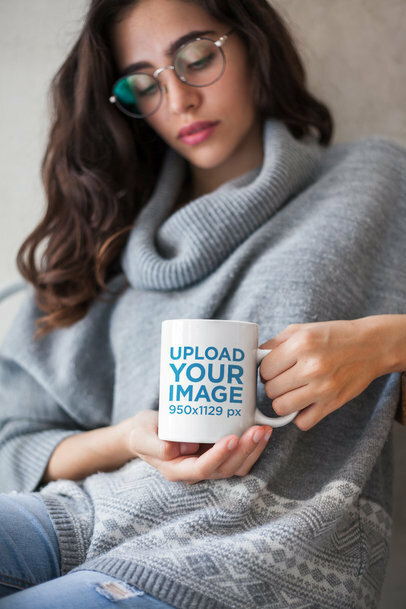 Try out this custom mug mockup featuring a trendy couple having hot chocolate to warm themselves up in this cozy winter. 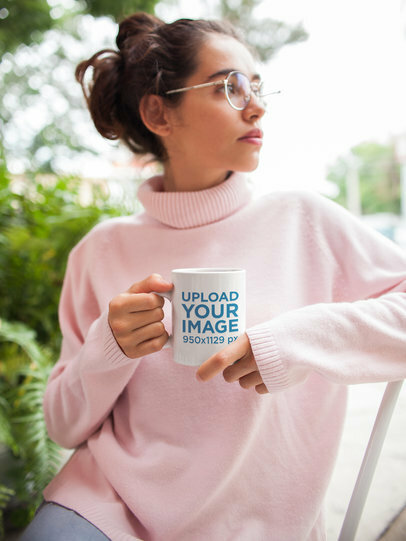 If you've got some personalized mug designs you'd like to see promoted in trendy and professional ways, look no further; Placeit's just the place for you. 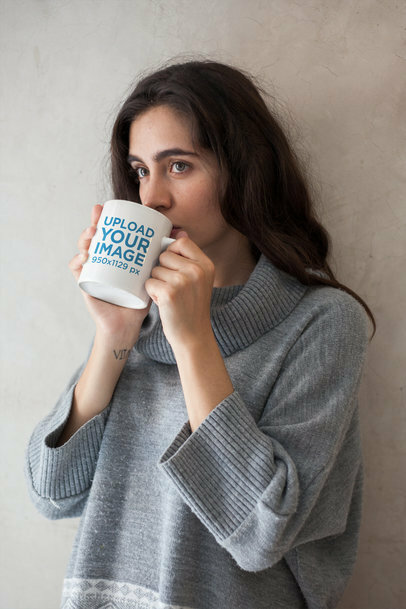 So start now promoting all your coolest mug designs! 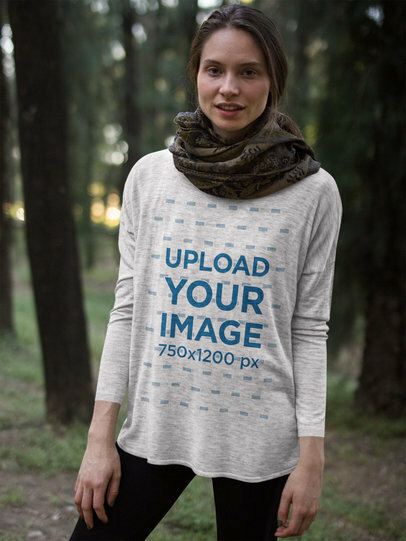 Create your own beautiful visual to showcase your beanie designs using this stylish mockup. 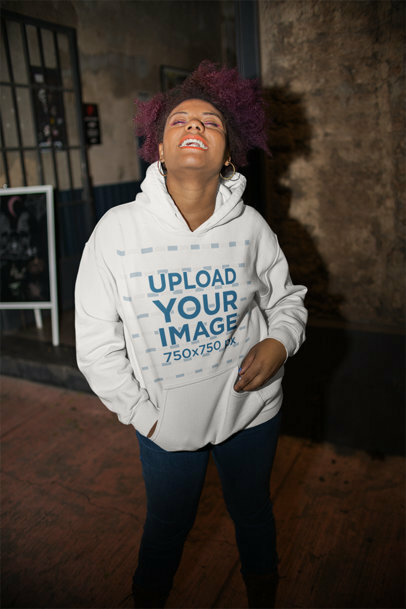 Promote your clothing brand online and improve your fashion marketing strategy in a professional and super easy way. 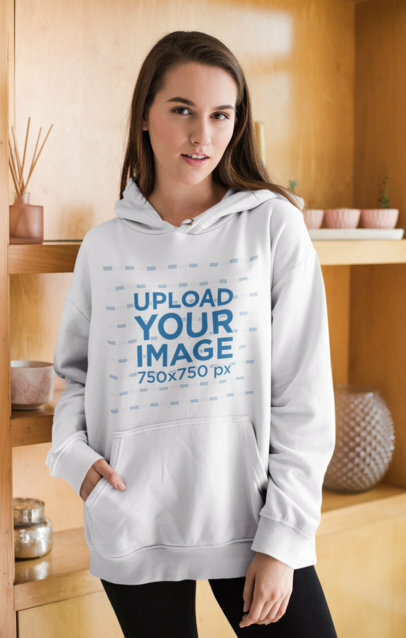 Your design will be the first thing people see. 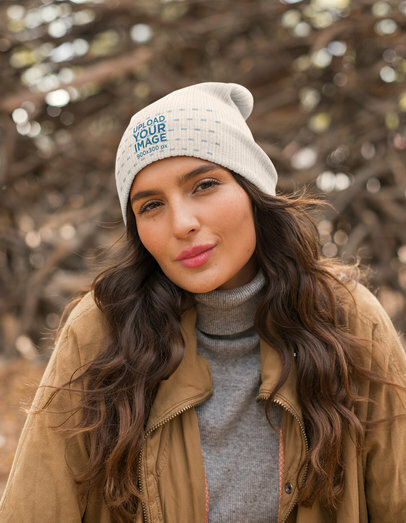 Your customizable beanie designs will get even more views. 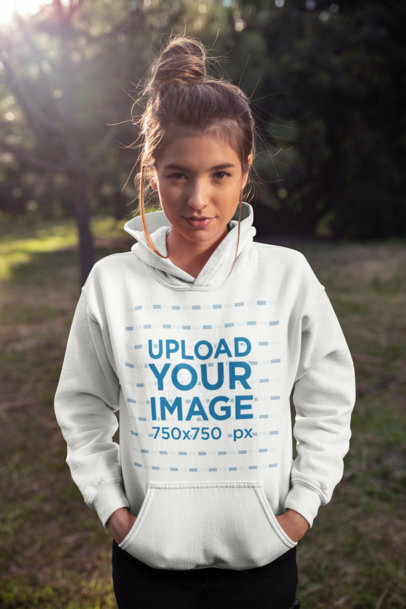 Use this awesome mockup and promote your latest designs for pullover hoodies in a better way! 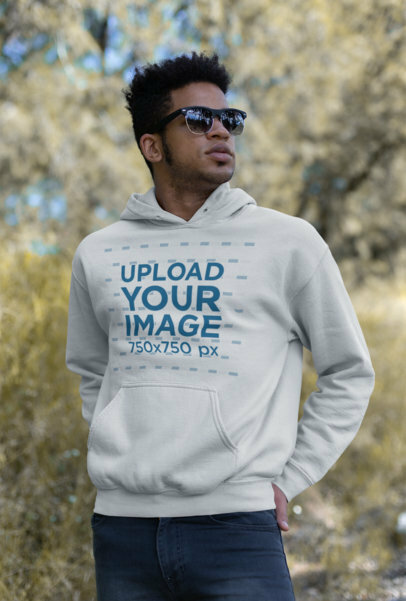 You just have to choose a color for the hoodie using the HEX tool on the right, then drag-and-drop your jpeg or png image file over the upload button on the left. Wasn't that simple? 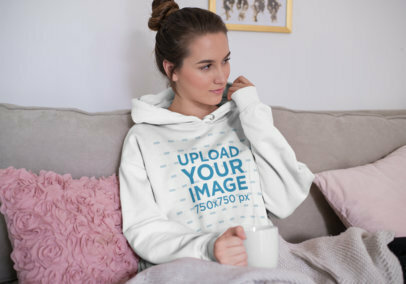 Use Placeit and promote your latest designs in a smarter way! 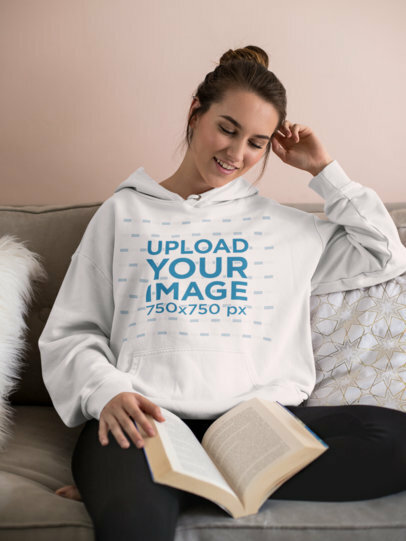 Try another Pullover Hoodie Template! 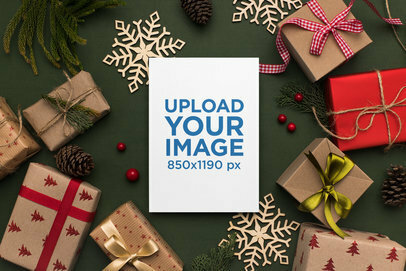 Promote your joyful designs with Placeit's Christmas Greeting Card mockup. Our mockups are easy to use and don't require any additional software. Just customize the setting to your style! 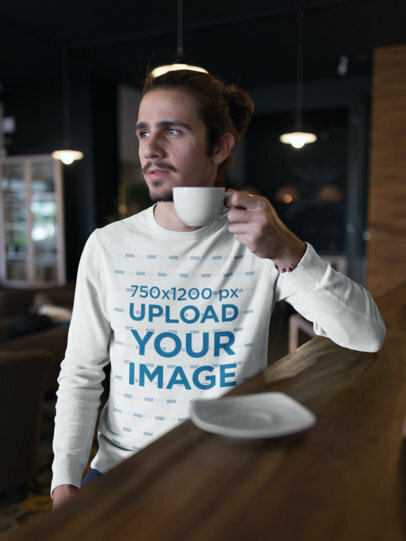 Your design will be front and center. Bring the Christmas cheer to your greeting cards! 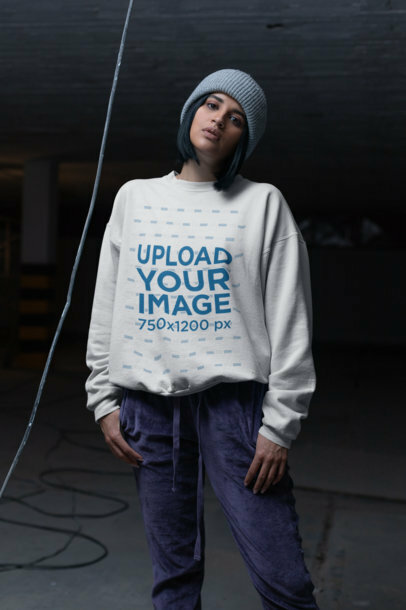 Looking for some cool mockups for your beanie designs? 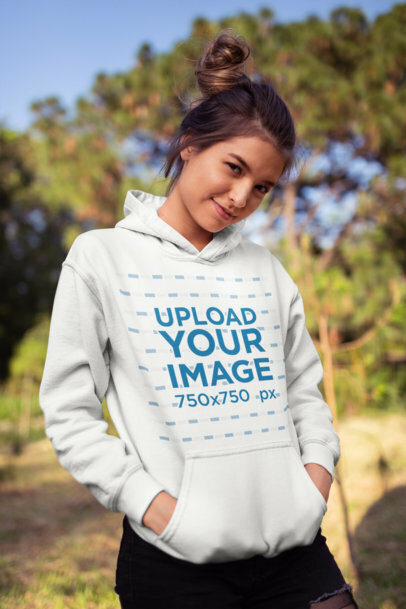 Try out Placeit's apparel mockups! They're super easy to use and don't require any additional software. Our mockups feature the best trends, locations, models, and more! Sound awesome, right? 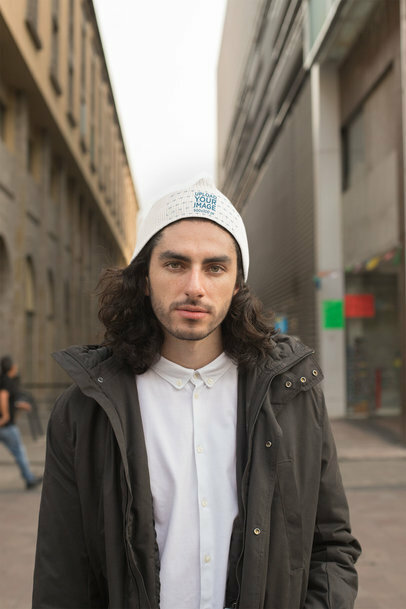 Try now your beanie designs on this cool mockup featuring a handsome male model with long hair. 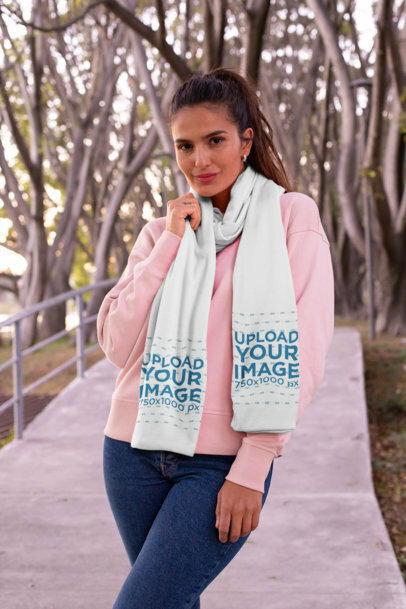 Showcase your personalized beanies with trendy images! 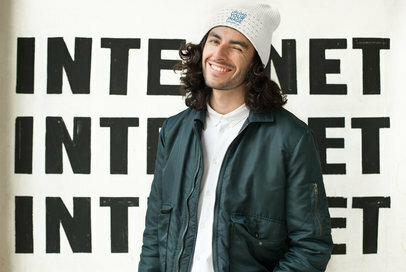 Get your beanie designs out for the world to see! Placeit's mockups are super easy to use and don't require any additional software. You can even change the beanie's color. Cool, right? 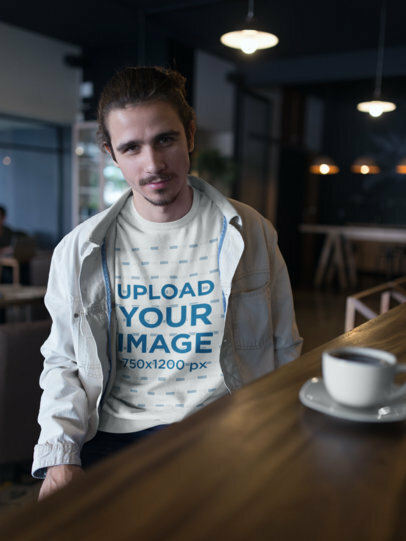 Check out this cool beanie mockup featuring a stylish man in a minimalist scenario, the perfect visual for your trendy beanie designs, try it out! 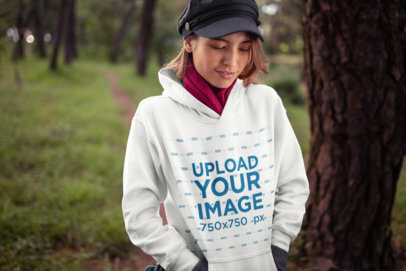 Your beanie designs can look awesome with Placeit's mockups! 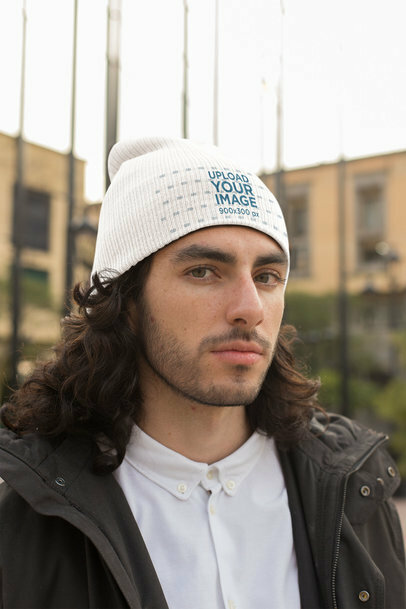 Try your beanie ideas with this handsome model with trendy look, a perfect visual to make your customers want your latest products. 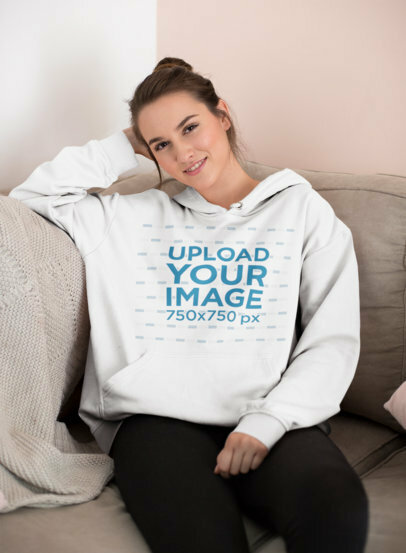 Customize the mockup and get all the likes! 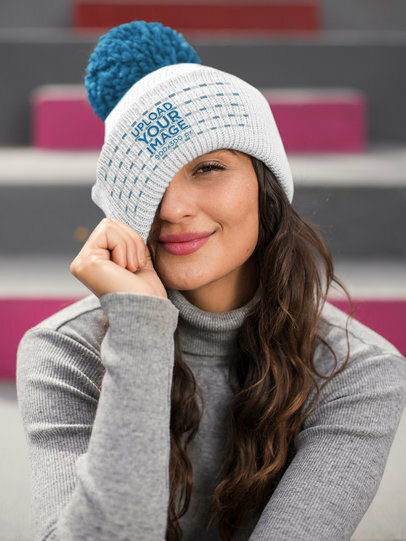 Got some cool Beanie design you want to show off? 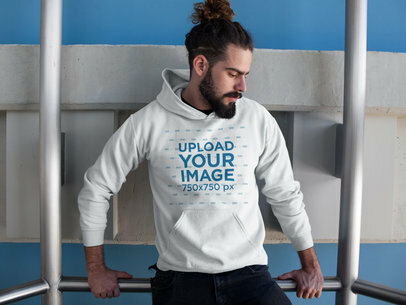 Why not try Placeit's apparel mockups? Our mockups are super easy to use and feature the best trends. You can even change the beanie's color. Cool, right? 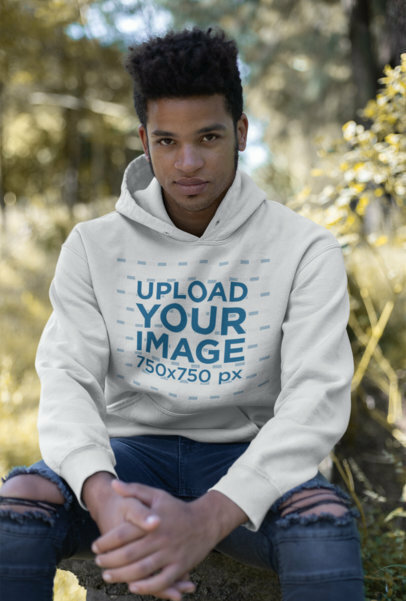 Try it out this cool mockup featuring a trendy man wearing a beanie in the city with your own designs and improve your marketing strategy right away! 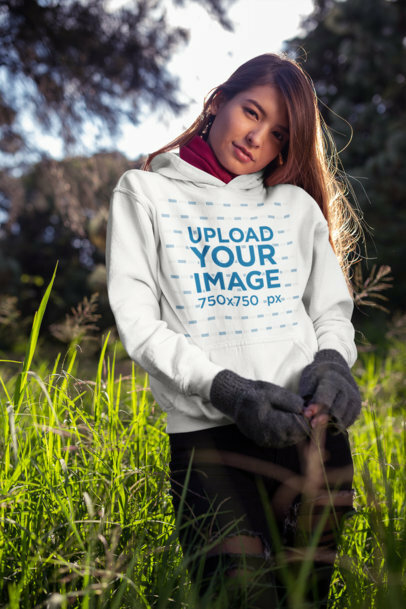 Maker your winter clothing line go viral with professional visuals from Placeit! 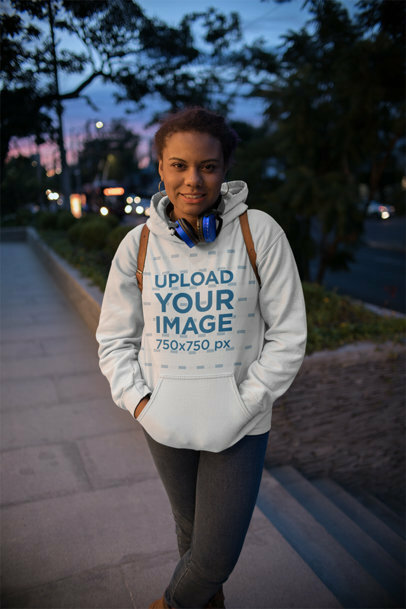 Try out this mockup featuring a smiling handsome girl with a pom pom beanie. Try out as many personalized beanie designs as you want, they will all look amazing!